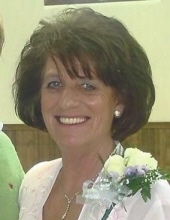 A Bardstown resident, Mrs. Ruby Janice Culver, age 67, passed away Wednesday, October 31, 2018 at her residence. She was born, April 10, 1951 in Bardstown to the late Gilbert and Katherine Irene McGee Dones. Ruby was a dedicated private home health caregiver for over 20 years. Along with her parents, she was preceded in death by an infant daughter, Janice Culver, and 3 brothers, Ray, Tommy, and Pat Dones. She is survived by her husband of 50 years, John Wayne Culver Sr., 2 daughters, Valisa (Larry) Clark of Bloomfield, Kristen Harrell (Scotty Lyvers), her son, John (Malynda) Culver Jr., her sister, Tammy (Chris) Roberts, and her brother, Ronnie Dones, all of Bardstown. 19 grandchildren and 4 great grandchildren also survive. Cremation was chosen by the family. A memorial service will be 6:00 pm Sunday, November 4, 2018 at the Houghlin-Greenwell Funeral Home, 1475 New Shepherdsville Road. Visitation will be Sunday from 2:00-7:00 pm. The Houghlin-Greenwell Funeral Home is in charge of arrangements. To send flowers or a remembrance gift to the family of Ruby Janice Dones Culver, please visit our Tribute Store. "Email Address" would like to share the life celebration of Ruby Janice Dones Culver. Click on the "link" to go to share a favorite memory or leave a condolence message for the family.